Last updated December 8th, 2018. Myanmar has shown rapid improvement and modernization in the past couple of years. Steps the Southeast Asian country recently took include changing to an elected government and bringing in record foreign investment. They took yet another step toward the country’s development. Myanmar officially launched its first stock exchange, on Wednesday 9th December, 2015. That’s a milestone in Myanmar: a once closed country with almost zero foreign investment. They achieved record FDI of US$8 billion during 2014, showing a clear demand among large global businesses. Multinational firms like Coca-Cola, Colgate, and Mitsubishi rushed to Myanmar during that year and never really stopped. All realize the full potential of its emerging consumer boom. Perhaps more importantly, Myanmar saw one of its cleanest elections in history. The people’s favorite party under Daw Aung San Suu Kyi took a landslide victory against the longstanding party of retired government officials and minority parties. Myanmar received universal praise for this fully democratic election. Steps towards modernization wouldn’t be possible if the country didn’t open its doors up to the global economy. Myanmar turned to one of the fastest developing countries in Southeast Asia. Not long ago, it was one of the world’s most isolated countries with an unbelievably high number of sanctions imposed on them. 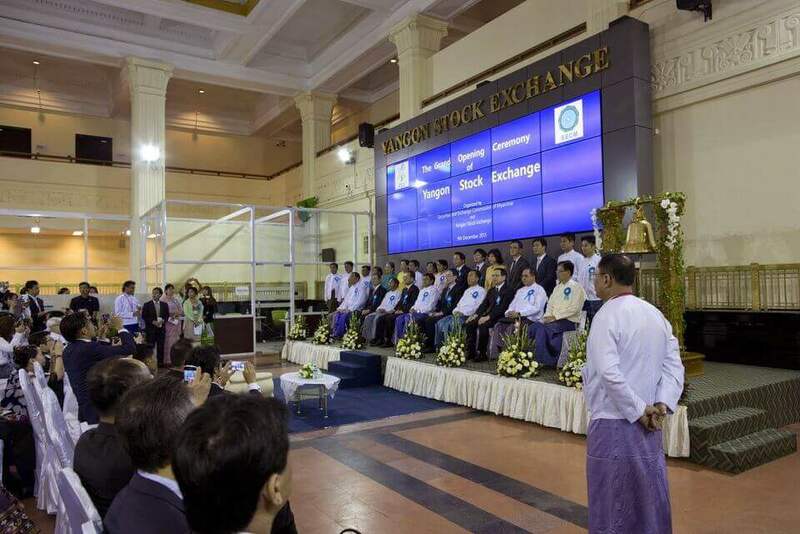 The Yangon Stock Exchange (YSX) is just the latest step in the nation’s quick development. Co-founded by the state-owned Myanmar Economic Bank Daiwa Securities, along with the Tokyo Stock Exchange, YSX is an investment valued at around US$25 million. A lot of optimism surrounds the YSX’s launch. Head of Telenor Myanmar, Petter Furberg, expressed hope that this is the first step towards developing a debt capital market. He also mentioned that Myanmar’s new stock exchange could make local companies more attractive to work for and help counteract their brain-drain. With rising optimism also comes caution. The Myanmar stock exchange will take a long time to become fully active and a legitimate stock exchange platform. Many experts agree that the country as a whole needs stricter rules and regulations for the Yangon Stock Exchange to play a major role in the Myanmar economy. There is some truth in these words. In fact, there still aren’t rules about company disclosures, shareholder voting, or annual general meetings. A registration process must be laid out more transparently as well. Furthermore, initial public offering (IPO) requirements would should be less stringent to favor a more efficient stock exchange. Some people who fear the Yangon Stock Exchange could follow along its neighbors’ paths to failure. The Cambodian Securities Exchange (CSX) and Laos Securities Exchange (LSX) only have two and four listed companies respectively. Both those stock exchanges aren’t even on most investor’s radar due to their lack of activity. However, officials are certain that the YSX will not follow down such a path. Deputy Finance Minister Maung Maung Thein said in a press release that he expects at least seven companies to join the YSX at the very start. These include local big name players like Myanmar Thilawa Public Company, First Myanmar Investment, and Myanmar Citizens Bank. Thein expects the Myanmar stock exchange will be as robust as Vietnam’s Ho Chi Minh Stock Exchange within three years. Vietnam boasts the most active stock exchange in the region with over 300 stocks traded and a market cap of more than $19 billion. Hope remains that the Yangon Stock Exchange will start strong. Earlier this year, 57 companies applied for a license in one of four categories offered within the YSX. 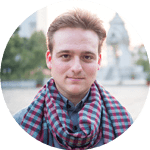 Can Myanmar overcome its bureaucracy and become a frontier market worthy of investment? Time will tell.